This colorful afghan pattern looks like it’s the perfect way to clean up your yarn stash. Plus, it’s a decorative throw for the living or bedroom. 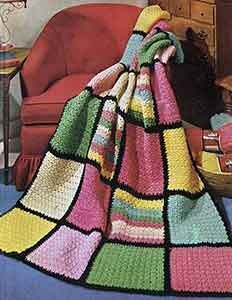 The pattern recommends a heavy rug yarn and a K crochet hook.